When we moved into our home there were so many blank walls everywhere. Surprisingly we didn't need much more furniture, but we definitely didn't have enough decor for all of the walls. One of the most challenging areas for me to fill, were the four walls leading to our three upstairs bedrooms. Since our family would see these walls all the time, I wanted to put something important up. Even after months of shopping around, nothing seemed quite right. It wasn't until I felt the excitement in starting to figure out my family's ancestry, that the idea came. After asking my mom and mother in law for pictures of our family's ancestors, our "memory lane" started to come together. 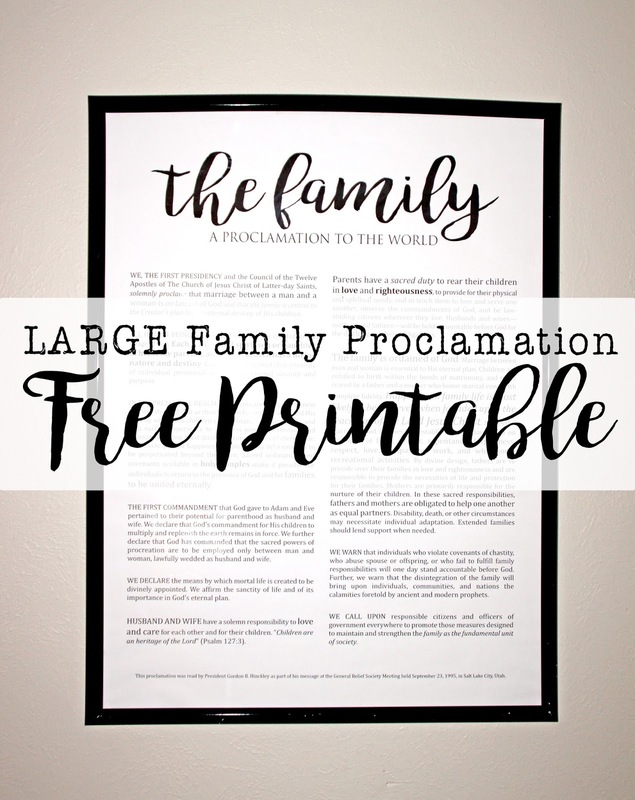 Then, with another section of the hallway to fill, the rest of the idea came to put pictures up of our family now, as well as finish off the hallway with a 24" x 30" print of the Family Proclamation. Read on to hear more about what the Family Proclamation is, as well as get your own large FREE printable (that can be printed as an Engineering Print for $3). I was surprised to see how excited my four boys were to see their ancestors' pictures. I think no matter how old we are, there is something special that is felt when we see and hear about the generations that came before us. It gives us an identity that is bigger than us, and I know that is valuable for all ages. Going through countless ancestors' pictures was a neat experience. Imagining the hopes, dreams, and lives they all had in the different centuries in which they lived made me think of my hopes, dreams and life a little bit differently. I would have wanted to print out every single one of them, but due to budget limitations, I settled on some of my favorites. My ancestors are in the two pictures on the left (don't you just love that man's mustache?!) And my husband's ancestors are the three on the right. The middle picture is the graduating class from Northwestern University in 1901. Thanks to Michael's for having 70% off these simple black frames with mats when I was on the search for cheap frames that looked classy enough. These two walls are directly across from one another, and make up the first half of our hallway, and are just to the left of where you come into our home. We were excited to find pictures of old stores on both sides of our families. One was a hardware store, (the one two from the left,) and the one that is a little more in focus is a grocery store that was before items were refrigerated. The picture that is most in focus is a picture of my grandparents shortly after they were married. Having recently lost my grandpa to a car accident, I love being able to still see him. But there was still one remaining wall, the one at the very end of the hallway, that needed something....and then the idea came when listening to my church's "general conference." I belong to the Church of Jesus Christ of Latter Day Saints (aka Mormon Church). Every April and October our Prophet and apostles speak to the world via the internet and several TV networks. After listening to their inspired messages, and being reminded of the Family Proclamation, I knew this was the last thing our hallway needed. The family is ordained of God and central to God's plan. As a beloved spirit son or daughter of Heavenly Parents, each person has a divine nature and destiny. Gender is an essential characteristic of human identity before, during, and after life on Earth. I find this document to be sacred, and want myself, and my family members to be see it's valuable doctrine regularly. I found several large versions of it on Etsy.com, but didn't want to pay $15 + shipping to get a black and white printout on a large piece of paper. Instead I set out to put together one for myself, and would like to share it with all of you. Since I've had a large frame lying around for year, I decided to make it for that frame's size, which is 24"x 30"...I think that is a typical size for poster frames (which are really cheap). I was going to make my own frame using reclaimed wood, but then realized my whole hallway had black frames with white mats, and thus kept the cheap black frame as is. Update 4/10/18: I have since been introduced to a great site where you can get the Family Proclamation, as well as the Articles of Faith and the Living Christ very affordably. For just a few dollars more than Staples and Office Depot charges to print your own, you can get these on even nicer, thicker paper. My print that I have had for over a year now in our poster frame is getting slightly wrinkled, and if I had gotten it from printitengineer.com, I believe it would be lasting longer. Anyway, just wanted to share that. I used to always send my engineering prints (large black and white prints) to Staples. Recently I found that OfficeDepot offers them a little bit cheaper. The smallest size is 24" x 36" which is $3.39 currently. I upload my file online and they email me when it is ready to be picked up. Super easy and super cheap. I had them print this file on 24" x 36" paper, and then cut it to fit my frame. That's it! Click here to be taken to the PDF file if the JPEG file below doesn't work well for you. It is the perfect finish to our "Family Hall," and bridges the generations wonderfully. 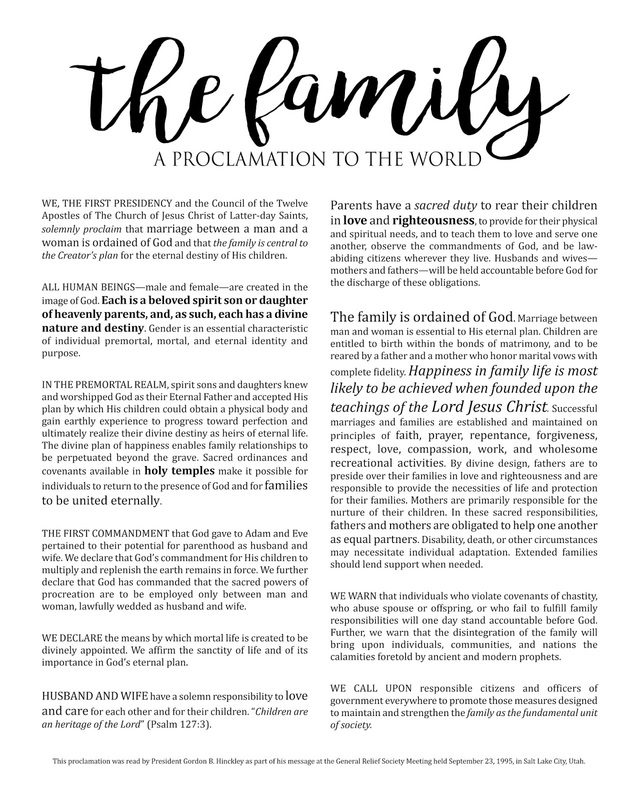 Update 3/14/18: If you would also like the 13 Articles of Faith of the Church of Jesus Christ of Latter-Day Saints FREE printable, click here. The Living Christ printable will be added soon so you can have all three complementary prints for free. I hope that this document works for you too, and that you can add something meaningful to your walls for only a few dollars! Thanks so much! I am planning on using this in Young Women's so everyone can see it! Are you planning on doing the Living Christ or the Articles of Faith to match? It was my pleasure! So glad you'll be using it! I've received several other requests to make the Living Christ, and a few others for the Articles of Faith to match, but haven't gotten around to making them yet since we don't have the wall space for them and I have too many other projects going on. However I plan on doing so sometime and will share them once I do! Thanks for replying! We decided as a presidency to leave it up in the young women's room to help us memorize it so I'm super glad I was able to print it without spending a ton. Thanks!! That makes me happy! Glad you could use it! I would LOVE a Living Christ to match with the signatures at the bottom. For some reason, many others don't include the signatures and I think that is an important part of it. Thanks for this printable!! I think the reason others don't include the signatures, is because they're re-typing the document with different fonts and sizes. However, with the signatures they would need to copy the images themselves and then paste them on the new document, a totally different technological technique. I haven't made The Living Christ yet to say if it is tricky or not to do, but I think I should be able to include the signatures when I get around to making it. So glad you could use this printable, and thank you for the signature suggestion! If you ever make the Living Christ or the Articles of Faith will you please let me know? You’re amazing! Thanks for sharing your talent!! Thank you! I've received so many requests for the other two so I'll try to remember to make them when I get a chance. Thanks! printitengineer.com has the Living Christ and Articles of faith. She prints on high quality paper and very inexpensive! This is wonderful. You are so sweet to make this a free printable. I too would love the living christ and Articles of faith when you get around to it. thank you! I'm glad you can use it! I'm hoping to make the others early next year and will write a new post with them so all of my subscribers are notified of it. Thank you for doing this! I just got mine printed and framed and I love it! That makes me happy Aubrey! You are very welcome! I would like a copy of the living christ if you make one! Do you have the articles of faith and the Living Christ available yet? You’re so talented.. thanks!! Heather, thank you for asking. For the last several months I have been searching EVERYWHERE on my computer for this original file, so I could keep the same layout, dimensions, and thus look, so that all three would look complimentary. I had an epiphany tonight of where to look, and found the file! I have yet to make the other two, but before tonight it was going to be impossible. I will now make it my goal in the near future to come up with the other two shortly. Stay tuned. If you haven't subscribed as a follower, make sure you do so you will receive an email when the other two are available. Thanks! Thank you!!!! So kind of you to do this. I’ve ordered mine and can’t wait!! Just wanted to let you all know that I added the 13 Articles of Faith free printable! 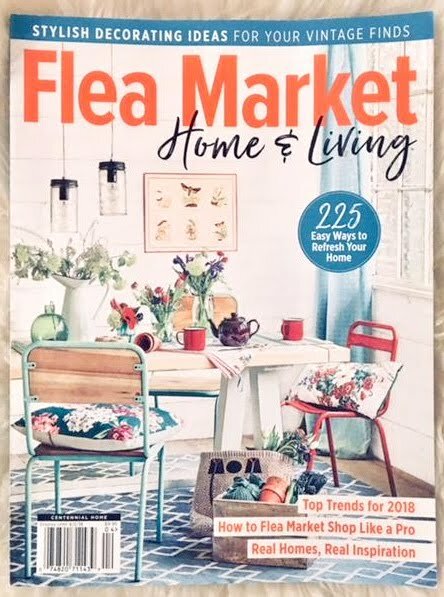 Here's the post: http://www.mimiberrycreations.com/2018/03/free-articles-of-faith-large-printable.html . The Living Christ will be coming soon so stay tuned. Perfect timing! Thank you for working on all three!